Vince is trying his hardest to be a regular high-school guy, and to live quietly and honestly. In spite of his efforts, his family’s business keeps affecting his life. 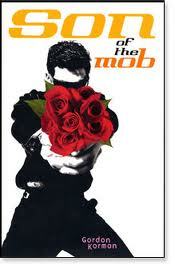 Because his father is the big boss of the mob, Vince’s house is bugged and the F.B.I. is always keeping tabs on what they are doing. Life gets even more complicated for Vince when he falls for a girl, and then later discovers that her dad works for the F.B.I. This book deals with some challenging issues, as Vince confronts his own morals and makes sense out of his beliefs about what makes a “good guy” and a “bad guy.” I loved this book because it dealt with these issues in a humorous way, and I could relate to Vince. I really did laugh out loud a few times as I read this book. Set in the future, along the Gulf Coast, Nailer struggles to survive. His job is to scavenge copper wire from ships that sunk during “city killer” hurricanes. While Nailer belongs to a crew, the work is every-man-to-himself, as it is about survival. Living under poverty conditions, with a drunken, abusive father as his only “family”, Nailer has to make decisions about who to trust and who not to trust. The considerations about what constitutes family, and how to determine if someone is trustworthy get even more complicated when Nailer rescues Nita from a ship filled with riches. While I do enjoy a good, futuristic, dystopian novel, I struggled with this one. Maybe because I went in unfamiliar with ship breaking, which I have since researched. I also found some of the characters to be somewhat flat, so I was less concerned about what happened to them than I should have been. This book pulled me in, and kept me fascinated throughout its entirety. Nancy Farmer knows how to develop characters that one is led to care about, while twisting science-fiction, reality and thriller into one amazing masterpiece! 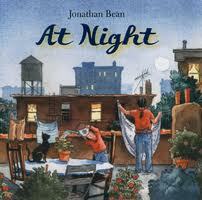 On a night full of rioting and fire, in a city with racism, Daniel learns an important lesson from his cat Jasmine. Frances does NOT want to go to bed. After requesting milk and more goodnight kisses, Frances has to face the things in the dark. She even made up a song to try to fall asleep, but it only got her thinking about tigers. 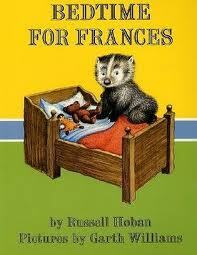 . . Father has some good ideas about how to help Frances finally get to sleep.